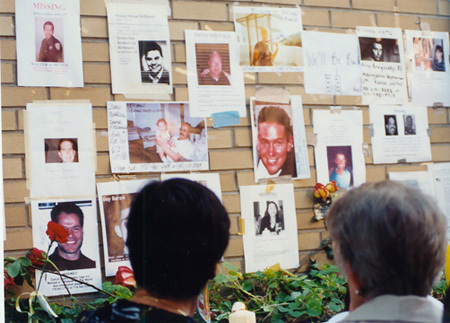 DESCRIPTION: All over Manhattan, for several weeks after 9/11, survivors who lost loved-ones in the World Trade Center bombings posted their images on "Missing" posters. I felt a little uncomfortable taking photos, but ultimately I decided it was a part of history that needed to be documented. That didn't make it any easier to face those posters, but it was how I took part in the mourning process that all us New Yorkers went though.